This post was written by Ariel Macon, a Masters of Library and Information Science student at the University of Kentucky. Ariel interned with the Smithsonian Libraries in March 2019 as part of the University of Kentucky’s Alternative Spring Break program. The Magnificent Obsessions: Why We Collect exhibit showcases collections that are not just legendary in size but in content. Collections from Bern Dibner, J. Bruce Beckwith, and Albertus Seba consist of impressive and rare encyclopedias, natural thesauri, and scientific materials. With varied pasts and professions, these collectors have something in common: books with curious or odd illustrations. Bern Dibner, an engineer and inventor, had one of the most impressive science book collections spanning from engineering, medicine, and biology to architecture and the science of letters. One of his more renowned books is the Facsiculus medicinae by the German physician, Joannes de Ketham. 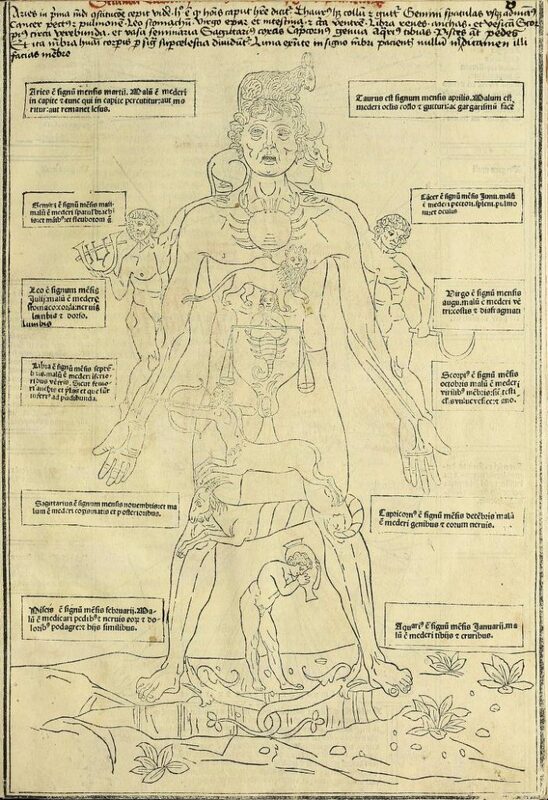 Images from the Fasciculus Medicinae mixed a bit of science with the mythical. Take for example this image that includes human anatomy with the signs of the zodiac. My Latin knowledge is only enough to help me in Trivial Pursuit but the image references how the time of year/zodiac affect when and where to treat parts of the body. J. Bruce Beckwith was a pediatrician with a fascination with teratology, the study of birth defects and malformations in humans, animals, and plants. 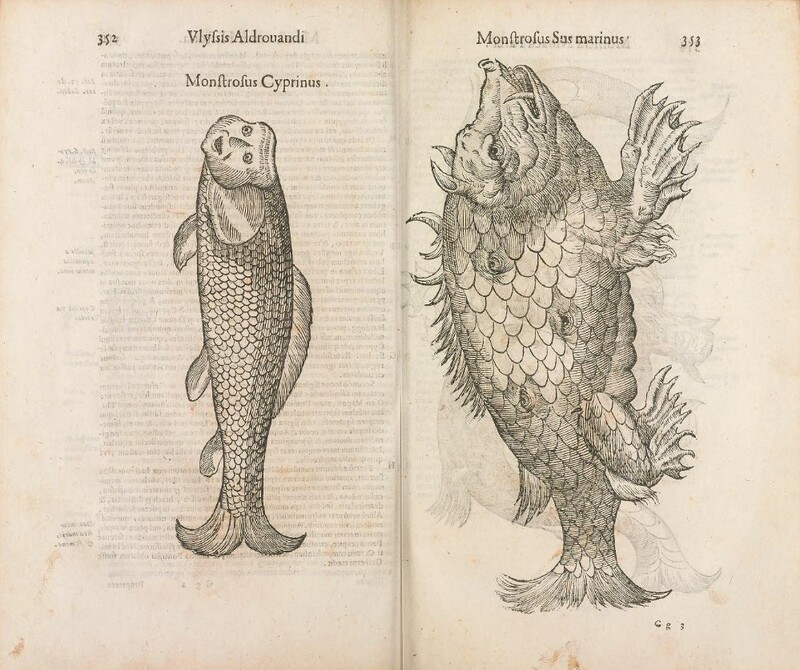 In the case of Ulisse Aldrovandi’s Monstrorum historia (1642), Aldrovandi features illustrations of mythological creatures and reported genetic anomalies. Beckwith’s collection of over 800 works was gifted to the Dibner Library of the History of Science and Technology. Ulisse Aldrovandi. Vlyssis Aldrouandi patricii Bononiensis Monstrorum historia. Bologna, 1642. Going beyond books, Albertus Seba had his own Cabinet of Curiosities, a pre-museum collection of sorts. 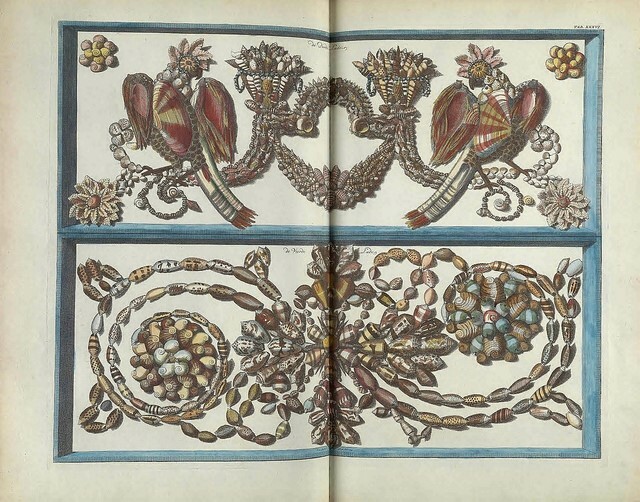 From his large collection, Seba commissioned the book Thesaurus rerum naturalium (1734-1765). While illustrations like the vibrantly colored squid set a precedent for future nature books, the shells displayed in extravagant arrangements are unique. Capturing attention from an onlooker into the Cabinet of Curiosities may have been the goal with these, but the designs in print still catch your eye. Albertus Seba. Locupletissimi rerum naturalium thesauri accurata descriptio, et iconibus artificiosissimis expressio, per universam physices historiam. Amsterdam, 1734-1765. These are just the tip of the iceberg when it comes to unique and interesting collections. Be sure to stop by the Magnificent Obsessions exhibit to see these works and more.